We’re thrilled that Susan Casey is coming to the City Opera House! To get a taste of what’s in store, read How to Talk to Dolphins. We can’t wait to hear what Susan will share from her new book, Voices in the Ocean, which explores the wide range of human relationships with these wondrous creatures. To buy tickets or to read more about the event, click here. 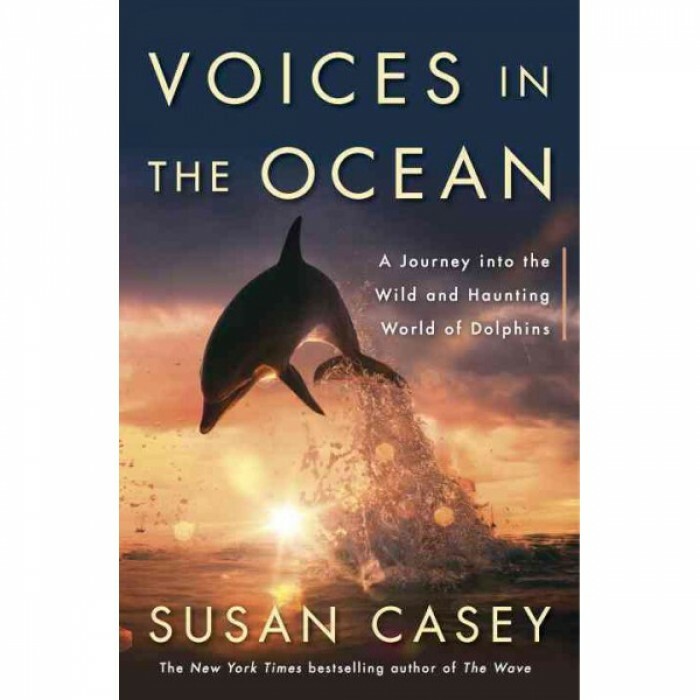 One of the stories that inspired bestselling author Susan Casey’s new book on the intricate world of dolphins, Voices of the Earth, is almost too beautiful to be believed.A biologist named Maddalena Bearzi was studying a group of dolphins off the coast of Los Angeles when she noticed something strange. The “pod” (group of dolphins) had just landed upon a herd of sardines. They were about to start feeding—something that usually transfixes the whole group—when one, unexpectedly, darted off. In moments, the rest followed, swimming full speed out to sea. When she reached them, three miles offshore, the pod had a formed a circle—in the middle of it, a girl’s floating body. Very near death, the girl had a plastic bag with her identification and a suicide note wrapped around her neck. With the dolphins help, she was saved. “I still think about and dream about that cold day,” Bearzi wrote of the sighting. “And that tiny, pale girl lost in the ocean and found again for some inexplicable reason, by us, by the dolphins.”Our inexplicably intimate relationship and longtime fascination with dolphins provides a backdrop for Casey’s third book. From bizarre 1950s scientists to a community of dolphin worshippers, it’s an eye-opening look at the world below the sea.You make it a point to clarify in the beginning that there are misconceptions about dolphins. Can you explain?People think of dolphins and they don’t realize there are about 42 species of dolphin—and some of the dolphins are called whales. The word “whale” doesn’t mean that specific species or scientific definition, it just means large. Killer whales are the largest dolphin, so a dolphin is a toothed whale.Also, the first dolphins lived on land? Oh yeah. I’ve seen pictures of this and I struggle to know how to describe it. If you look it up the first dolphins you’ll just laugh out loud. It looks like this sort this feral, lupine rodent with hooves. It took them 25 million years to adapt to being in the water. When they first got into the water they were these big, almost dinosaur-like creatures with fangs, they were giant—they looked like those skeletons you see at the Natural Museum of History that look like sea monsters.